I love shortcake. There are few things better than ripe, sweet and juicy strawberries, fresh whipped cream and a light delicate shortcake all piled together to make one great summer dessert! 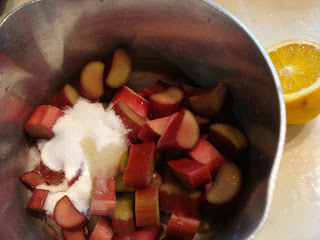 And, add some fresh rhubarb in the mix and it gets even better! This recipe from the May 1992 issue of Gourmet Magazine is my contribution for Gourmetunbound. I read many of the reviews and they ranged from loving the recipe to ..not. There are a few things that you have to remember when making shortcakes, biscuits or scones. And that is, all your ingredients have to be very cold and you can't overwork the dough or it will wind up heavy and dense. The addition of cardamom was interesting and I liked the taste. It was subtle, not too overpowering and, of course, the orange zest makes everthing taste better. The rhubarb/strawberry mixture was just the perfect sweetness for me. And one last thing, the recipe calls for cutting the shortcakes into 6 sections but mine came out so huge that you could cut the sections smaller. 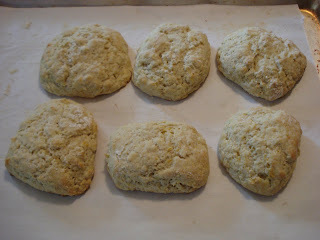 ( They do double in size once baked). 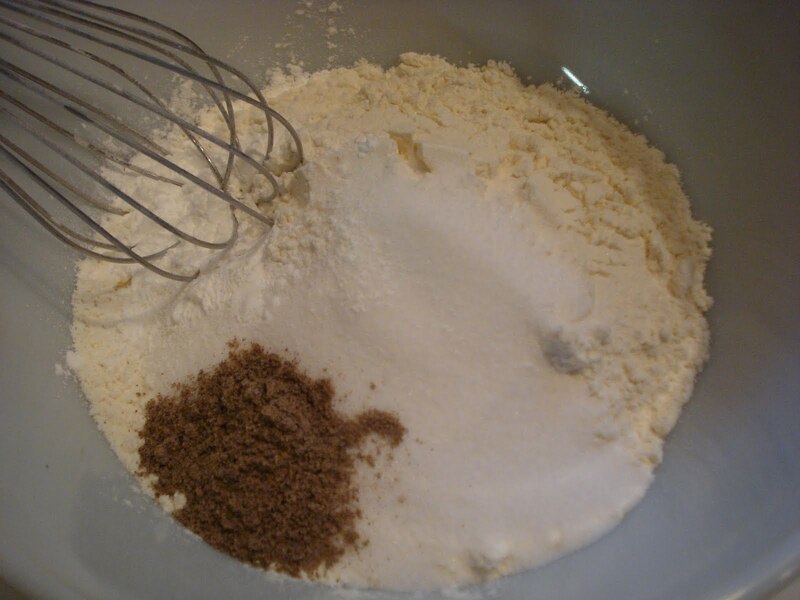 To make the cakes, whisk the dry ingredients in a medium bowl. 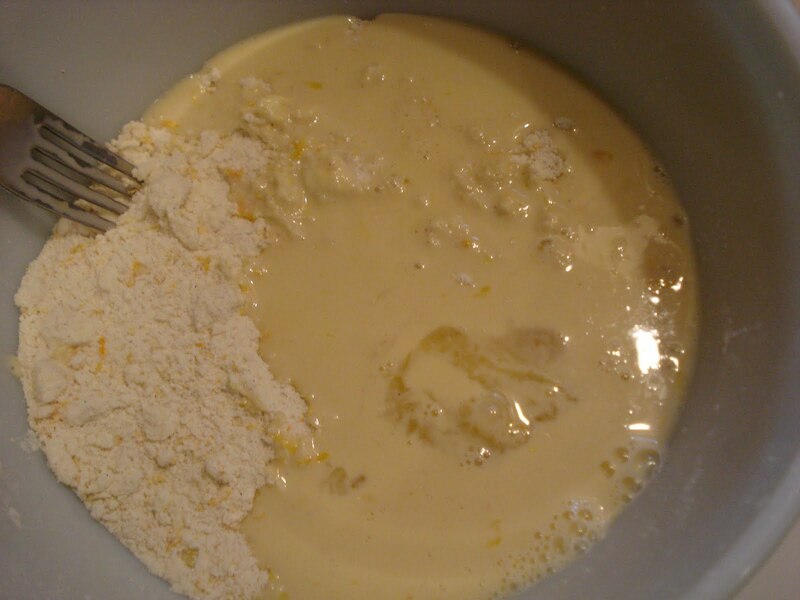 Til the mixture looks like this. It should resemble meal. You'll have some larger pieces of butter and some smaller and that's okay! In a small bowl, whisk the wet ingredients. And add the wet to the dry. Stir this together with a fork..and here's the tricky part. 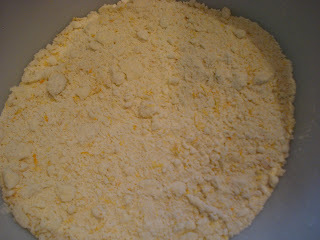 Stir til just combined and stir gently, getting the dry dough on the bottom but don't overstir. I usually make figure 8's with the fork. ( I know, a little weird!). 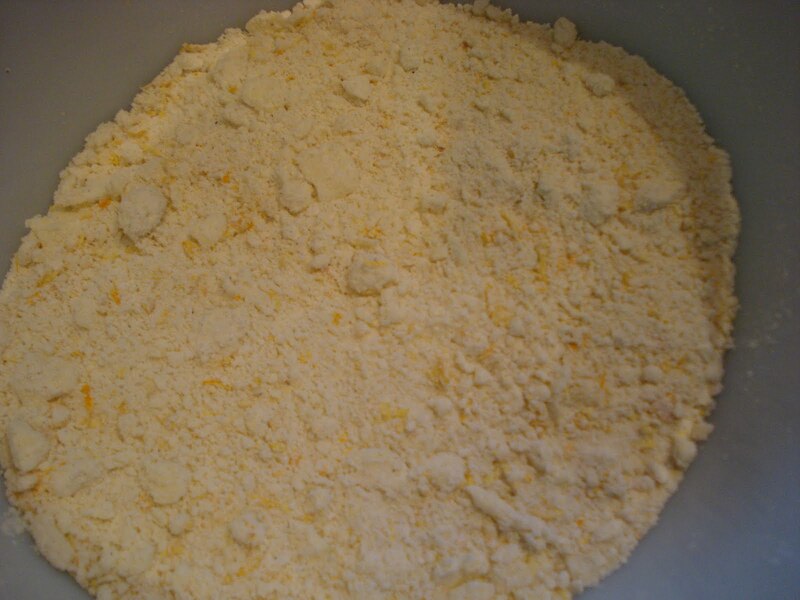 Turn out the dough onto a floured work surface. 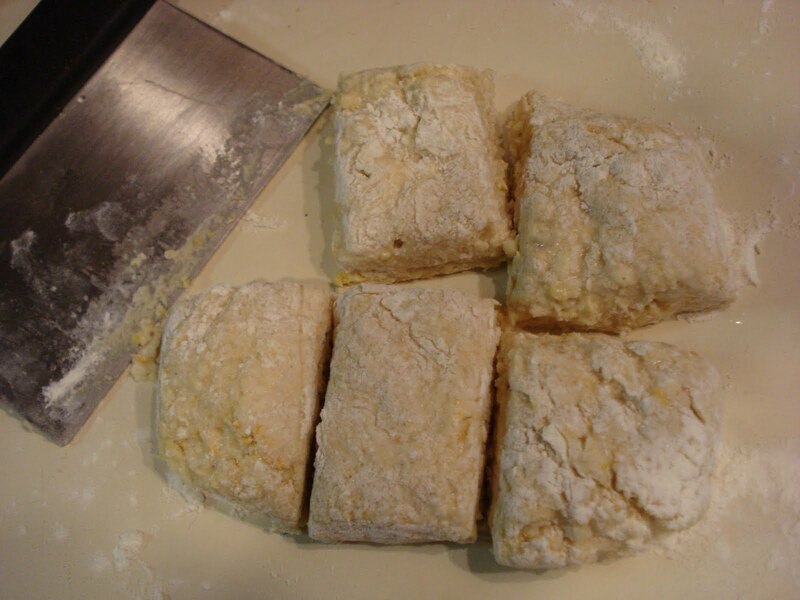 Use a bench scraper and your hand to form the dough into a shape, using flour as you need it...and you'll need it. But don't overdo it with the flour. I made a square shape and cut into 6 pieces ( and I could have cut 12 pieces). The original recipe calls for forming a circle. It's up to you what shape you want. Transfer the sections using the well floured bench scraper. Once they're baked, they become quite large. Prepare the rhubarb/strawberry topping by heating the rhubarb with sugar and orange juice in a pan. Cook on low heat about 5 minutes. 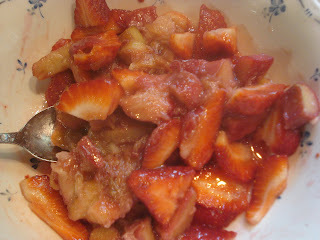 Then place the cooked rhubarb in a bowl with the sliced strawberries and mix gently. Place in the fridge for about 1 hour to cool. That's it..make your whipped cream and assemble all this yumminess..and enjoy a bit of summer! 1. In heavy pan, combine rhubarb, sugar and orange juice. Simmer, stirring occasionally for about 5 minutes or til rhubarb is tender. 2. Transfer rhubarb to a medium bowl and stir in strawberries. Chill for about 1 hour. 1. In a medium bowl, whisk flour, sugar, salt, baking powder and cardamom. 2. Using your fingers, blend in orange zest, butter and vegetable shortening til mixture resembles meal. 3. 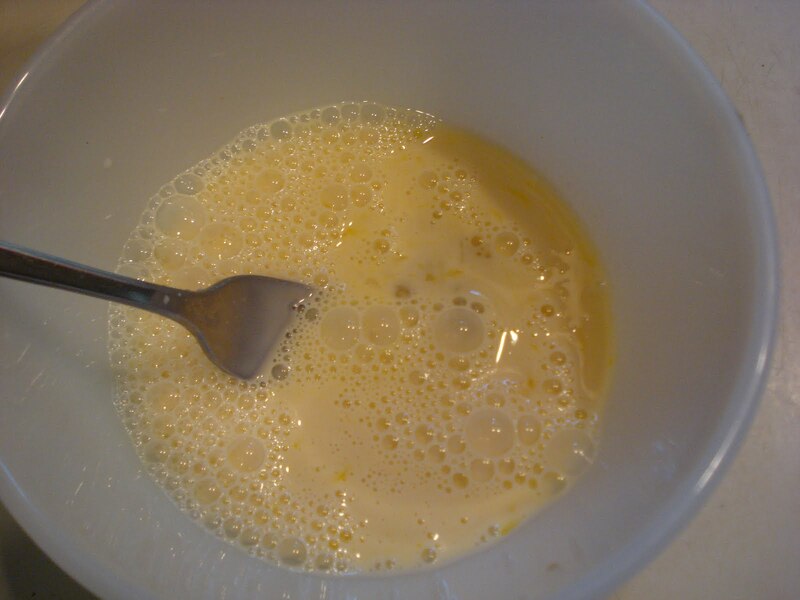 In a small bowl, whisk milk, egg and vanilla. 4. Add the wet to the dry ingredients. 5. Stir with a fork til the mixture just comes together to form a dough. ( See my comments about this above). 6. 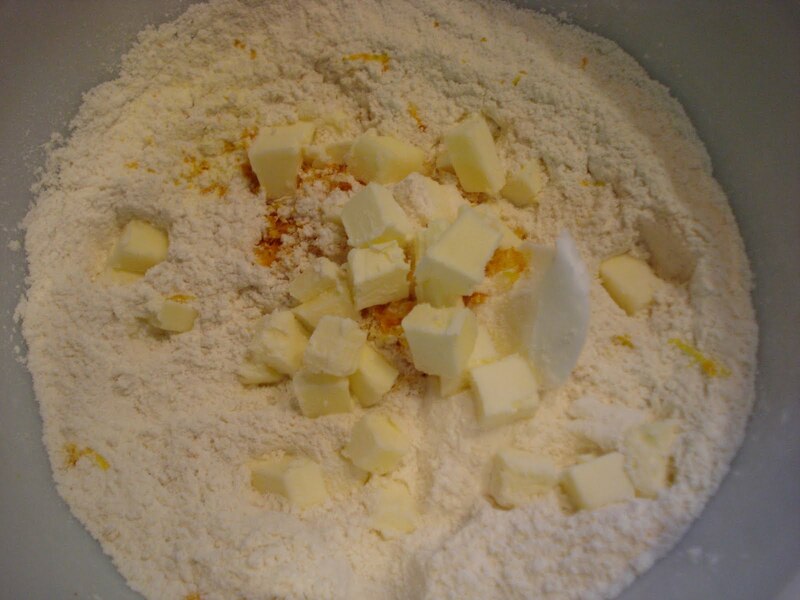 Turn the dough onto a floured work surface and pat gently, using more flour for your hands. 7. Shape into a 6" round or a square and cut 6 sections ( or 12 as I mentioned) using a well floured bench scraper to form. 8. Scrape up the dough sections with the bench scraper and place on the baking sheet, spacing about 3" apart. 9. Bake 12 to 15 minutes or til golden. Beat cream til soft peaks form. Add sugar and beat in orange flower water or vanilla and continue beating til stiff peaks form. Split cakes in half and spoon on filling and then whipped cream on top. 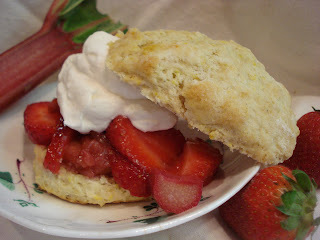 One of my goals this year is to cook something with Rhubarb. I was thinking a pie, but these shortcakes sound like a better idea! French Macarons..all the way from Paris! !